thank to Nishiko24 for allowing me to create this design from this illustration "Mellow". My favorite design so far but takes a long time to embroider (over 40min due to constant thread changing) still working on this. 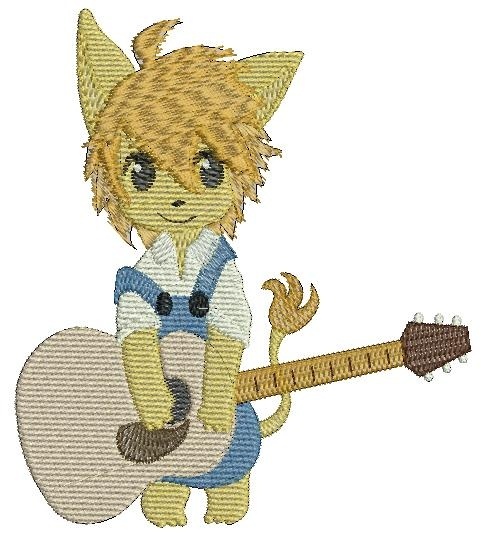 Wow, stitching that must take some skill o.o Very nicely done, and such a cute little design :D Awesome work! lol. thanks. like most things in life it's not hard once you now what your doing.